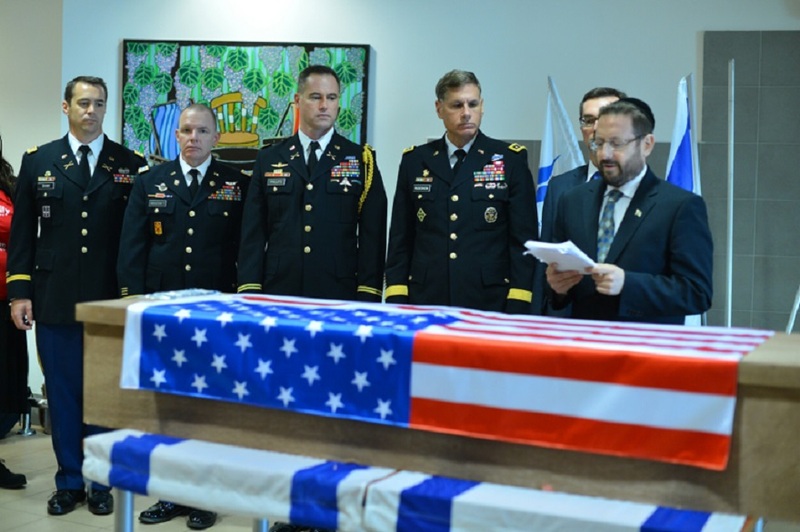 David Simpkins eulogized his friend and former West Point classmate in a ceremony Friday at Ben Gurion Airport before Force’s body was returned to his family for burial in the United States. Force, a student at the Vanderbilt University Owen Graduate School of Management, was on a school trip to Israel when he was killed March 8 in the popular Jaffa Port area. Simpkins, who moved to Israel, said Force was “a perfect example of a U.S. Army officer: He was humble, optimistic, hard-working, handsome, and he genuinely loved everyone regardless of their race, religion and creed,” according to Haaretz. Former Knesset member Dov Lipman, who made aliyah in 2004, organized the ceremony and read a letter from Force’s sister, Kristen, on behalf of the family, The Jerusalem Post reported. Members of the U.S. military serving in the area attending the service were led by Lt.-Gen. Frederick Rudesheim, the U.S. security coordinator for Israel and the Palestinian Authority, and Deputy U.S. Ambassador William Grant. Force served in Army units in Iraq and Afghanistan.